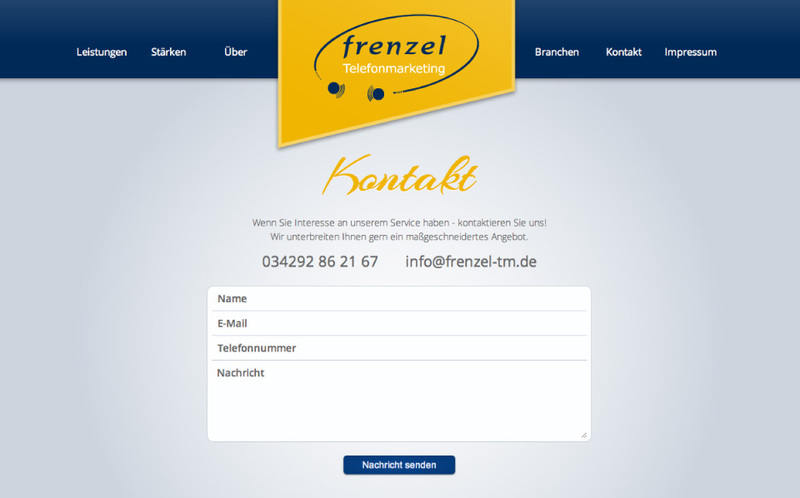 "It's all about communication". 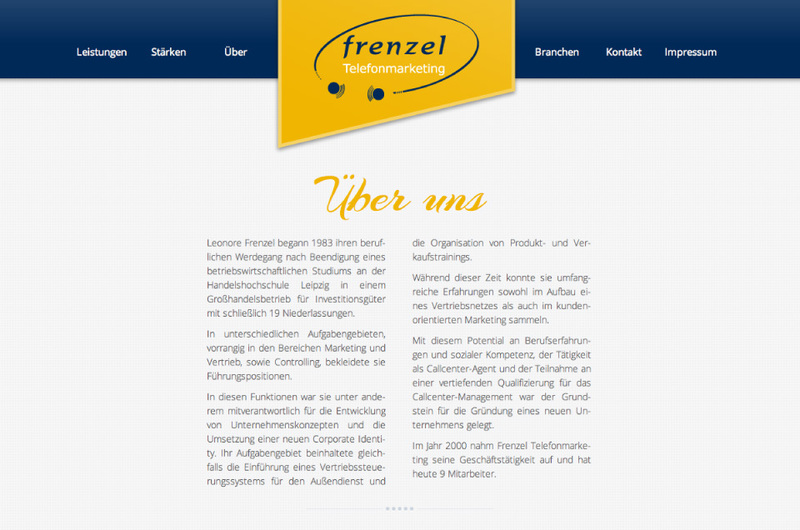 So Mrs. Frenzel and her team offer all the power to keep businesses connected with their customers. 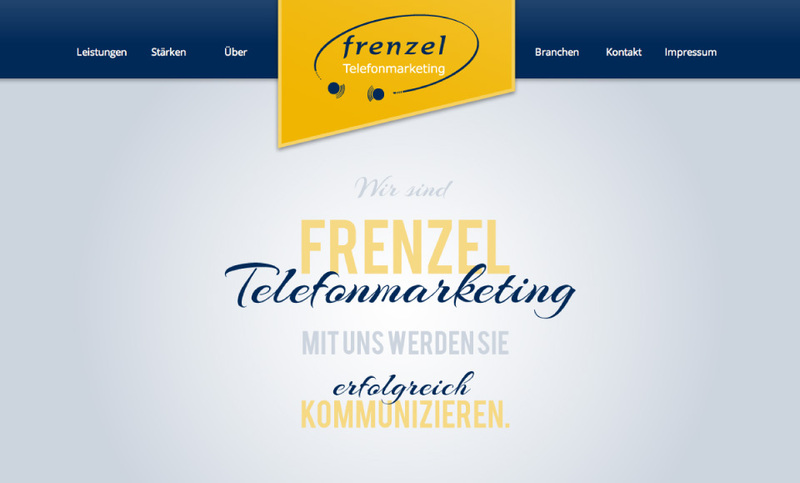 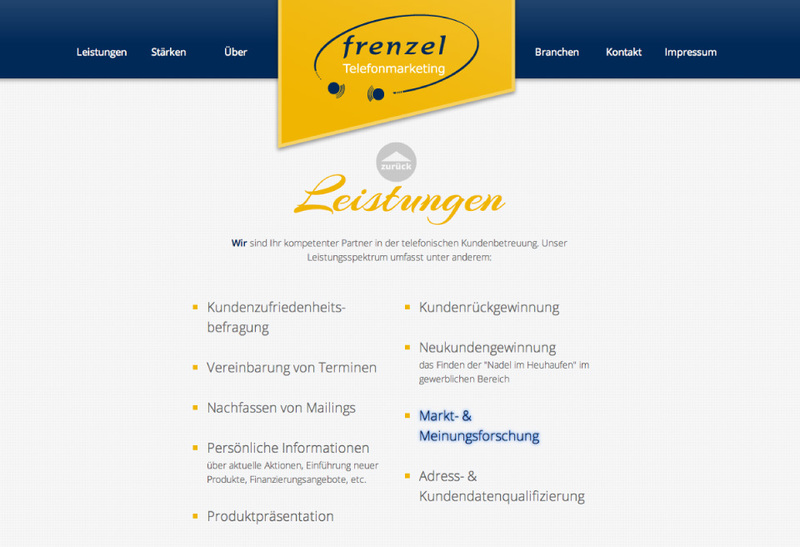 She asked me to connect her own business to the world wide web and so I designed a nice little single-paged website about the story and services of Frenzel Telefonmarketing. 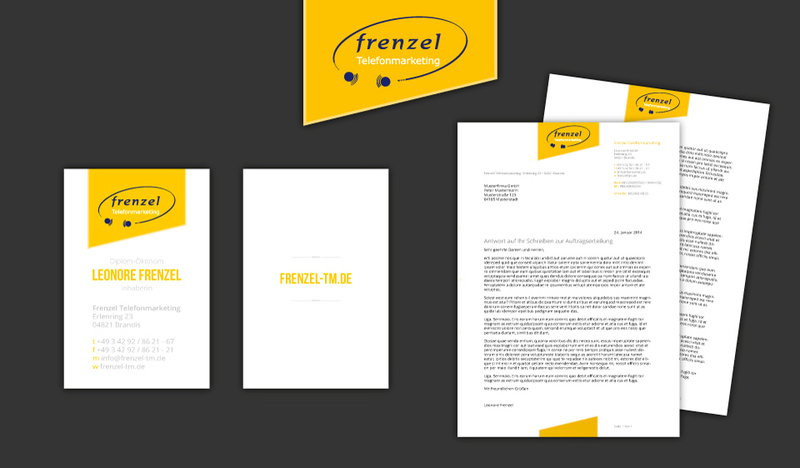 Within that process, I redesigned their corporate items like business cards and writing paper.